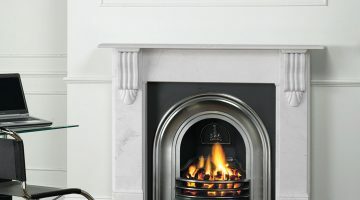 For more information please call 02891827117 or call into our showroom on Jubilee Road, Newtownards to see our large selection of fireplaces. For more information please call 02891827117 or call into our showroom on the Jubilee Road to see our live display. This is a 5kw stove fitted with a made to measure black box and a T shaped granite hearth. We are very please to show you one of the first 600HL on live display. 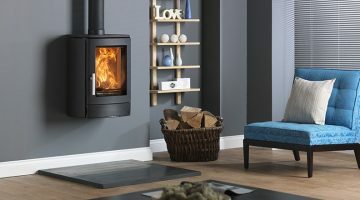 This fire is now on live display in our showroom, call in and have a look, you will fall in love with it. 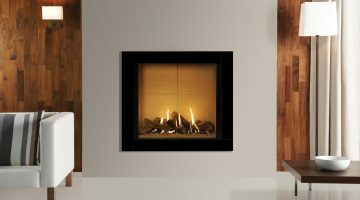 Call into our showroom on the Jubilee Road to see our large range of fireplaces. We have something to suit everyone. Another joint job for our fitting teams. The building team were up first as they had to construct a false chimney breast in the room. Then our fireplace fitter was next, he fitted this lovely ivory marble complete fireplace. And last but not least our gas fitter who has fitted this beautiful Gazco logic HE balanced flue gas fire with a log fuel bed. Call into our showroom to see our live display. This was one of our bigger jobs which needed both the building team and the gas fitting team. The building team have made a false chimney breast from stud work and the gas fitting team have put the gas line and the fire in. Just the plastering left to do and this room with have a lovely new feature. The winner of our Glass Fire Guard competition is Karen Armstrong. Karen can you please let me know when it would suit you to collect your prize?